As the center focus of your face, nasal symmetry is an important factor in bringing balance to your face. A Non-Surgical Nose Job offers men and women the chance to enhance one of the most important features without the lengthy recovery of a surgical nose job. This innovative technique uses dermal fillers to fix nasal cosmetic imperfections such as bumps, divots, or a drooping tip, and it takes less than 20 minutes. Non-Surgical Nose Job, alternatively known as Injection Rhinoplasty, is a minimally invasive cosmetic procedure that shapes the nose through the use of injectable dermal fillers. At Skin Specifics our filler of choice is Juvéderm Ultra Plus XC as we find it to be robust enough to shape, and most importantly like all Hyaluronic acid fillers it is completely reversible unlike Radiesse, which is also a popular filler for the nose with some clinicians. At skin specifics safety is primary to us and using a reversible filler is just one more way we ensure this. Anusha and her skilled staff at Skin Specifics are experts in the Non-Surgical Nose Job and provide excellent results. Injection of the nose is not to be taken lightly as understanding of anatomy to avoid dangers is our priority. A Non-Surgical Nose Job is the only non-operative alternative to Traditional Rhinoplasty, and is performed in less than 20 minutes right in our office. Juvéderm can be used to mask a nose bump, enhance a low bridge, lift a drooping tip, and fix nasal asymmetry. This procedure is often sought out for its simplicity and ease over Traditional Rhinoplasty. As mentioned above Juvéderm is our dermal filler of choice for a Non-Surgical Nose Job in both our West Los Angeles and La Cañada Flintridge offices. Juvéderm is an FDA approved injectable filler which can be used for multiple purposes, including nose reshaping. Juvéderm is made of hyaluronic acid, which is a sugar naturally found in the body. Since this substance naturally occurs in the body, hyaluronic acid is non-allergenic to all. Hyaluronic acid gives necessary nutrients to your skin and keeps it hydrated by retaining water; this adds volume to the skin in a natural way. Juvéderm is safe and effective for nose reshaping purpose; it won’t clump or migrate and it evenly dissolves. Because of the temporality of Juvéderm and all other hyaluronic acid base dermal fillers, eventually your body begins to break down the filler symmetrically so your nose will gradually return to its original state inconspicuously. It’s non-permanency is an attractive element of this procedure. Patients will need to get continual injections for lasting results, but spread overtime. It is NOT unusual to need two treatments in the first year to maintain your results for a longer time over the next few years. A Non-Surgical Nose Job cannot shrink your nose, so the way it works is by adding volume to depressions or surrounding areas of a bump. This provides a natural even slope and look to the nose without the need to undergo surgery. This will not make the nose look larger. Actually, by smoothing bumps, lifting the tip, and/or creating symmetry it creates an effect of making the nose look smaller. Dermal fillers are versatile so Anusha is able to accomplish very specific, delicate improvements to meet your individual desires. Some people may seek to get a Non-Surgical Nose Job to see what their results might look like if they wanted to undergo a surgical Rhinoplasty procedure. You are able to try out your new look before you commit to surgery. But whether because of health reasons, afraid to go under the knife, or do not have time for downtime, if you experience any of the above, a Non-Surgical Nose Job at Skin Specifics is a fantastic solution. Patients are often drawn to Non-Surgical Nose Jobs because they do not wish to undergo a full blown surgical procedure. Traditional Rhinoplasty requires an operating room, anesthesia, long procedure, and long recovery time including required 24 hours of home rest. Non-Surgical Nose Jobs take less than 20 minutes, are almost pain free, and require no downtime. You can get this treatment done in the midst of your errands and get right back to them without a single worry. You are able to remain awake during your quick procedure, as opposed to Traditional Rhinoplasty which requires lengthy sedation. There are surgical risks associated with Traditional Rhinoplasty, such as reaction to the anesthesia, swelling, bruising, septal perforation causing difficulty breathing, and patient dissatisfaction. The Non-Surgical Nose Job avoids all of these risks, including patient dissatisfaction since a few delicate injection treatments are spread overtime to ensure desired results are achieved. Further, Traditional Rhinoplasty results can take up to a year to see, where results of a Non-Surgical Nose Job can be enjoyed immediately after your treatment. One of the largest distinctions is the cost difference. A Non-Surgical Nose Job is significantly more cost effective than a Rhinoplasty surgery, which can run anywhere up to $15,000 or more including the surgery, anesthesia, anesthesiologist, operating room, pain medication, and nurses and surgeon fees. During your private consultation with Anusha at Skin Specifics, the floor is yours to explain every concern you have about the appearance of your nose, even the smallest annoyance or discontent. 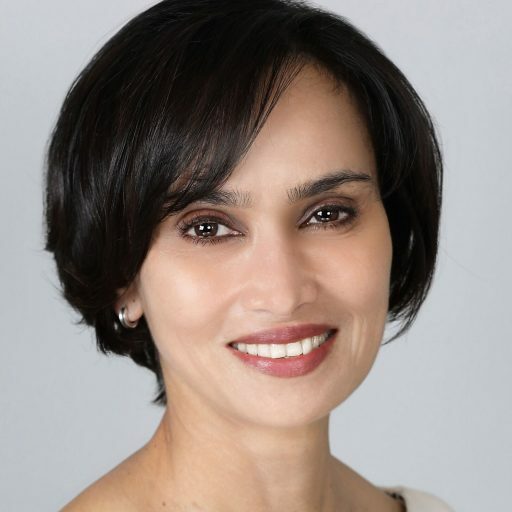 Anusha will perform an examination of your nose to see what irregularities Juvéderm injections can enhance, and explain the treatment in its entirety so you go into each session fully prepared and aware. If deemed a good candidate for this procedure, you will be shown before and after photos of patients with similar irregularities. Results vary between patients, so this is meant to give you a general idea of potential results. Any questions will gladly be answered at this time, including pricing inquiries. It is important to understand that since this is a non-invasive procedure, there is a limit to how much a Non-Surgical Nose Job can accomplish. It is meant to address mild to moderate cosmetic imperfections of the nose. It cannot treat such as extreme nasal deformities or solve breathing problems due to septal deformities. It also cannot physically decrease the size of your nose. If you only desire to resolve minor imperfections such as a nasal bump or drooping tip, than a Non-Surgical Nose Job can get you extraordinary results. Although it is a pretty straight-forward procedure, the filler needs to be injected in the correct level of the skin, safely. The procedure is deemed almost pain free by the majority of patients, but an anesthetic ointment is applied 20 minute prior to ensure comfortability. Anusha will thoroughly clean your nose with an antiseptic such as HiBiclens . Depending on which aspect of your nose needs to be injected we will use a cannula technique or a combination of Needle and Microcannula technique to inject the nose with Juvederm Ultra Plus XC or Restylane Lyft. We take utmost care to monitor our injections and will mold the product appropriately in-between injections. Immediately post treatment you will have mild swelling but be able to return to activities immediately after the procedure. Some people may even opt to get this treatment done during their lunch break. Rarely there may be slight redness of the injection site but this can easily be covered with makeup. The following morning you may notice some more swelling but this is expected following the procedure. You are also able to continue with your normal skincare routine after your treatment. We do recommend avoiding working out, aspirin, and alcohol just for 24 hours after your treatment. And if possible, steer clear of heavy sunglasses for at least 5-7 days to ensure the fillers stay in its proper placement. You may have some tenderness to the area the next day or two. Please refrain for rubbing and putting undue pressure on the area injected for the following week. Avoid saunas or any form of excessive heat for a few days. Should you have any severe pain or redness to the area you must immediately call our office to be evaluated. Beautiful, natural results can be seen immediately after your treatment. This prevents the possibility of overfilling and allows us to gage your outcome gradually and ensure you receive the best treatment and precise results. You can enjoy your beautifully shaped nose for as long as an entire year, some people even claiming their results from a session have lasted 2 years. For the best results, we recommend 2 treatments 6-8 weeks apart if we advise this after your initial consultation. Continual treatments will let you enjoy your results longer. And if for some reason you would like to reverse the results, Juvederm can be dissolved using Hyaluronidase, an enzyme. which is a perk of the non-permanency. Most patients however are elated with their results, and wish to continue treatments. The nasal bridge becomes straightened, the nasal tip is lifted and refined, and the centerpiece of your face is left more attractive. Enhancing the appearance of your nose even in the slightest way can bring harmony to your face and greatly increase your self-image and self-esteem. The cost of your Non-Surgical Nose Job will vary based on your specific case and the amount of sessions required. Undergoing additional treatments or procedures will alter the price as well. To receive an estimate quote, feel free to schedule a private consultation by calling (310) 481-0058 or (818) 952-5414 at either of our locations in Los Angeles.